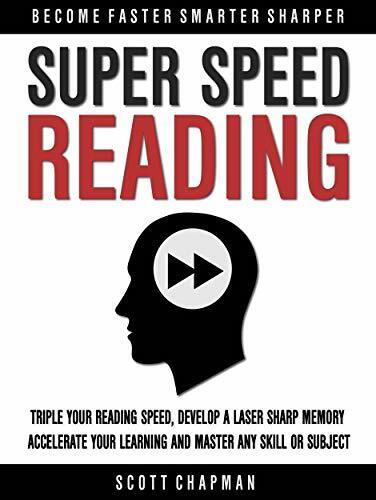 EXPOSED: "Discover How to Read 1,000 Words Per Minute… And Remember Everything With Pinpoint Accuracy" What if you had the ability to triple your reading speed, accelerate your learning, memorize more in less time, Stay focused, ignore distractions and interruptions whenever you needed to, be more productive and achieve more success? 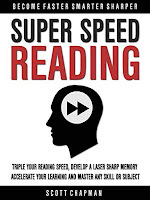 In Super Speed Reading that's exactly what you'll get THIS is guaranteed to have you read a lot faster & comprehending every idea you read from this day forward" Speed reading used to require months of training but In "Super Speed Reading" you'll learn with step by step instructions that will have ANYONE reading much faster in just one hour, and we GUARANTEE it! Just follow the simple techniques and you will begin to see a difference in your reading speed, memory and your learning. In fact, you can easily improve it so dramatically that it will change your life forever. This book will help you if: You often find yourself thinking about other things when reading, And have no idea what you just read? Find learning difficult Struggle with poor memory, distractions, and interruptions If you hate to study and want to get more out of your study sessions? Quickly read, comprehend, and remember complex course materials and studies How to get more accomplished in less time Skyrocket your productivity Master Difficult Tasks and Break the Procrastination Habit Take action now and download this book for a limited time Discount!